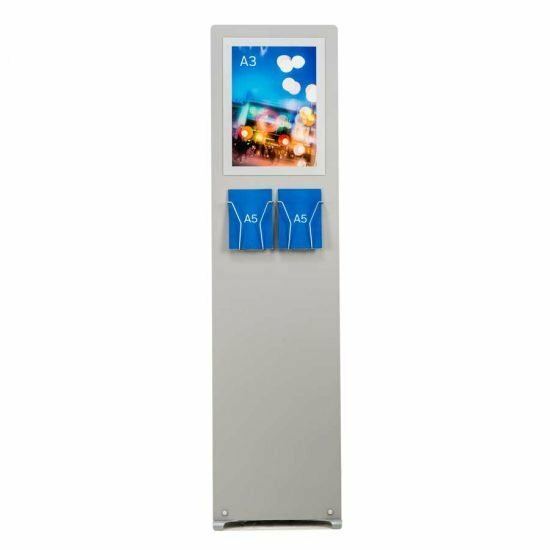 Display a message & distribute brochures from one stand. 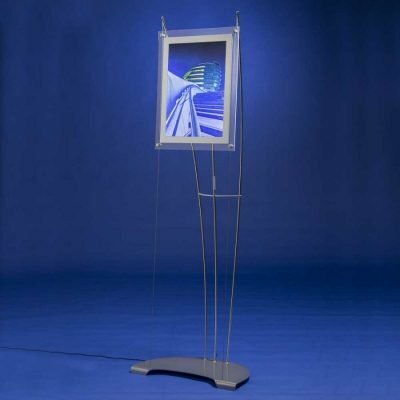 Wire work A4, A5 & DL sized brochure holders are available. 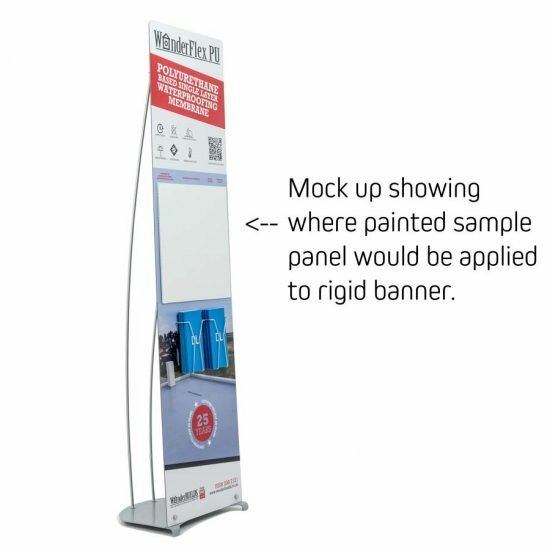 Magnetic system lets you change poster quickly. 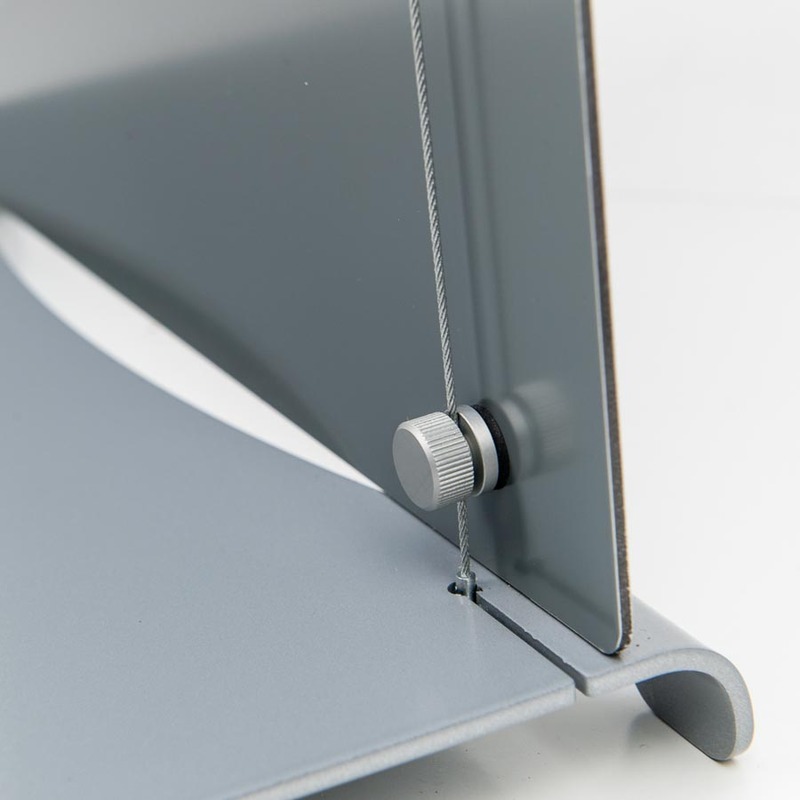 3kg steel base plate stabilises the display. Price doesn’t include poster graphic. 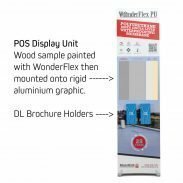 This combined A3 poster brochure stand lets you display a message and distribute literature from the same display stand. 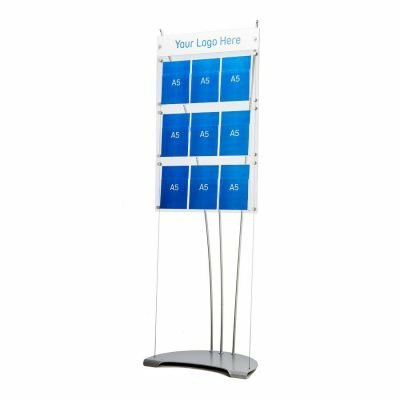 The quick change magnetic A3 poster holder lets you update your message quickly. 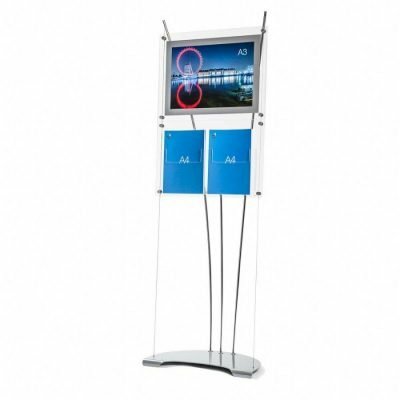 They provide an elegant semi-permanent display solution when you want to present A3 posters along with leaflets. 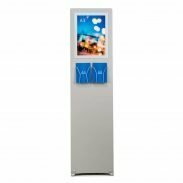 Suitable for public areas including reception areas, marketing suites, showrooms and as POS displays in retail environments. The poster frame is made from clear perspex. 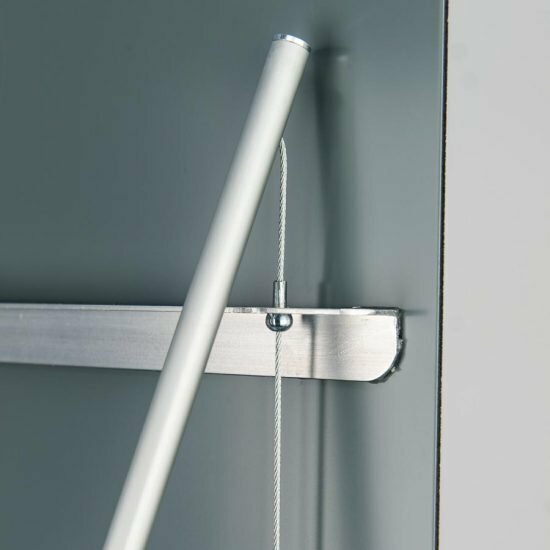 The front cover sheet has an opaque silver band which frames your poster. This is held in place with recessed magnets, which let you can change the poster in seconds. 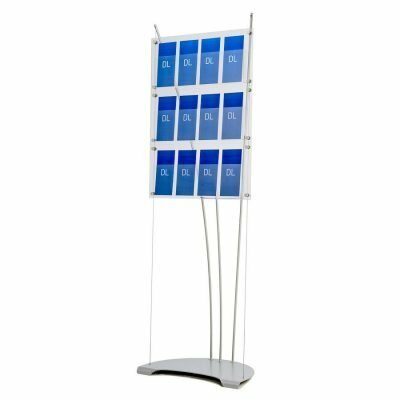 This A3 poster leaflet holder display is a floor standing, self-assembly system for A3 sized posters. 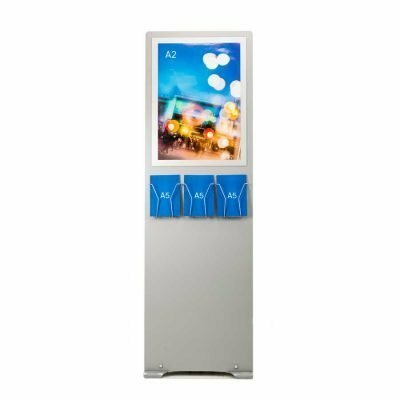 Designed for displaying posters, photos, menus, health & safety information, general notices, memos and temporary signs. 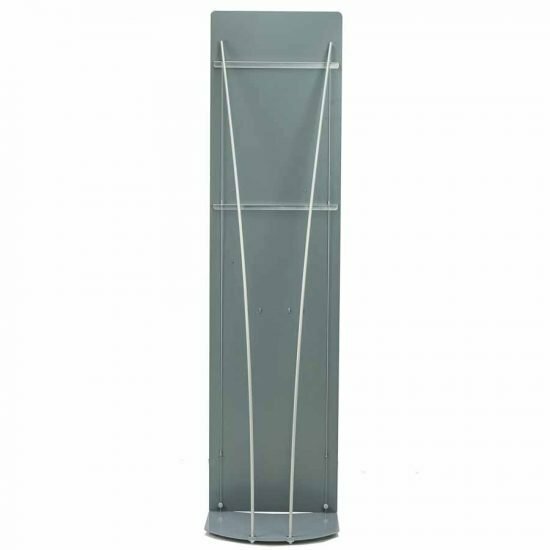 The silver painted steel base plate, aluminium masts and steel cables are very durable. The base and aluminium panel make the stand very stable, but it can still be picked up and to moved around when fully assembled. 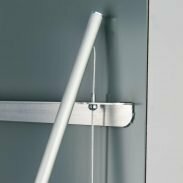 View our poster holder displays on Pinterest. 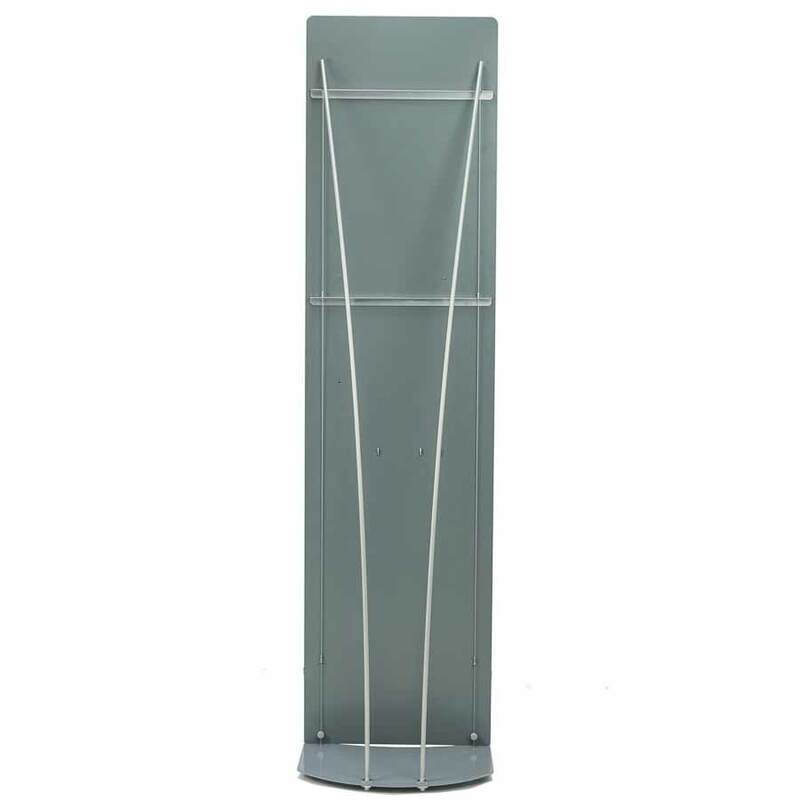 Order 2 – 4 displays and receive a 10% discount. Order 5 – 9 displays and receive a 15% discount. A3 Poster visual area 297mm x 420mm. 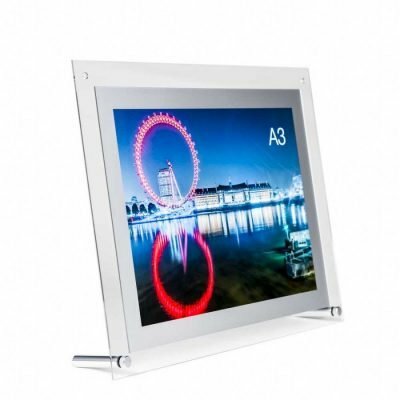 Trim poster out 307mm x 430mm so it overlaps with the silver frame. A3 poster brochure stands displays come with a 10-year guarantee against production defects. 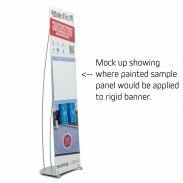 Displays are built to order, allow 7 working days for delivery.